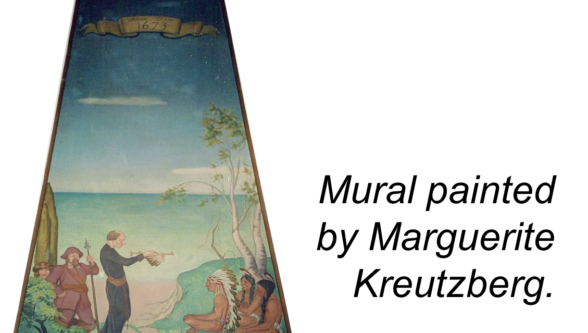 One of Lake Bluff’s finest treasures is the large mural of the French explorers Marquette and Joliet that hung in the now demolished Lake Bluff School gymnasium for 85 years. This oil-on-canvas painting, 14 feet tall and four feet wide at its base, depicts the explorers meeting with Native Americans on September 6, 1673, at the bluffs in Lake Bluff. The painting is listed as a significant Chicagoland art mural in “A Guide to Chicago Murals” by Mary Lackritz Gray. 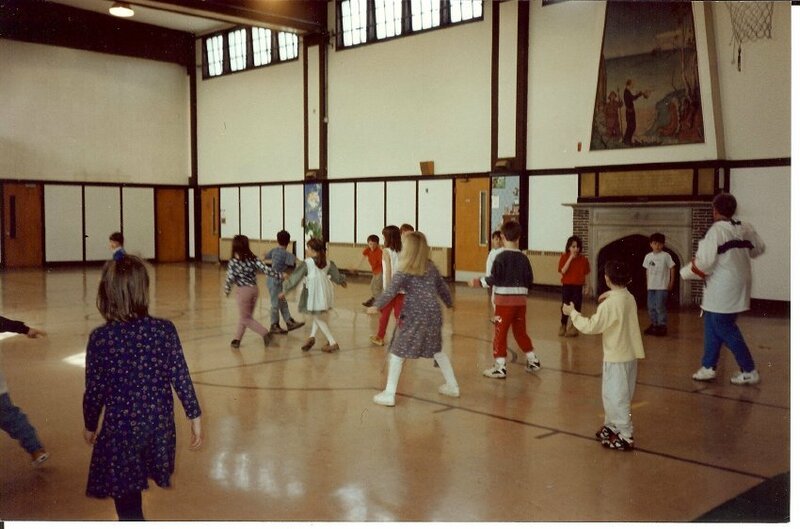 Remembered by thousands of Lake Bluff school children, the mural hung over the fireplace in the gym. 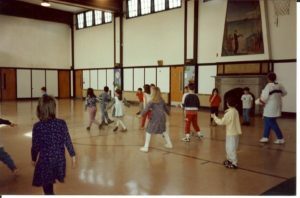 To find a mural and fireplace in a school gymnasium was unusual: however, the gymnasium also served as the village’s community center. 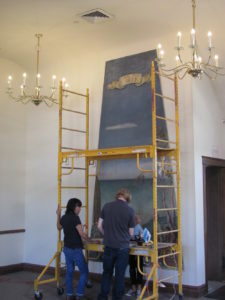 Prior to the school’s demolition in 2011, the mural was removed. In 2015, the museum raised funds to restore the mural and mount it for display in the Village of Lake Bluff second floor boardroom.